I was absolutely enamored with the ILNP Color Kissed Ultra Holos, so I purchased the whole collection on preorder day. It's rare for me to own a full collection that I wasn't sent to swatch, so I hope you guys understand what a huge deal this is. I honestly thought this collection might be prettier in the swatches than in real life, but I was entirely wrong. 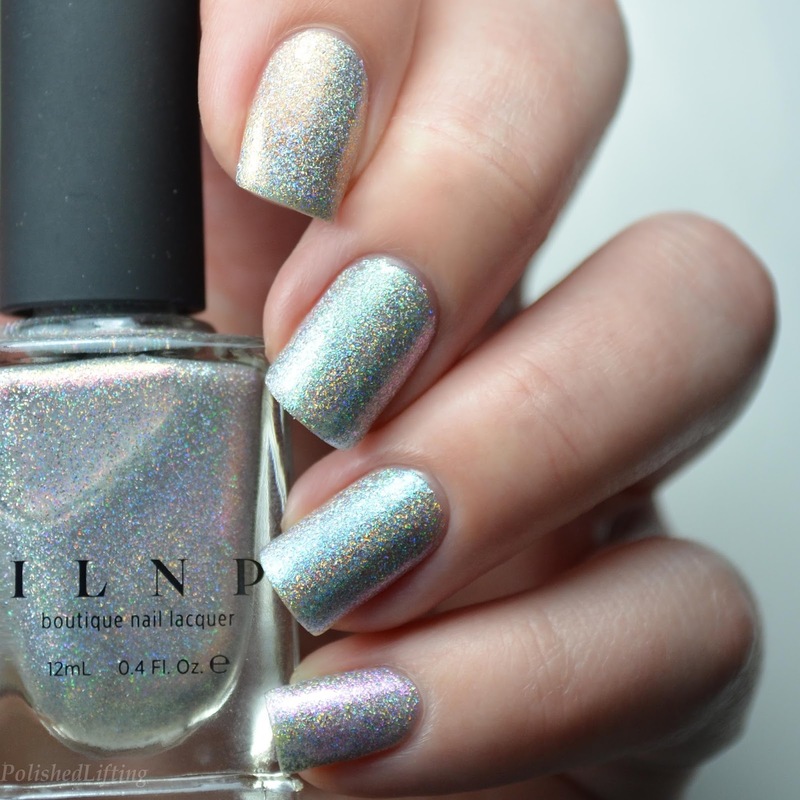 ILNP slays holos, and they certainly did so with the Color Kissed collection. 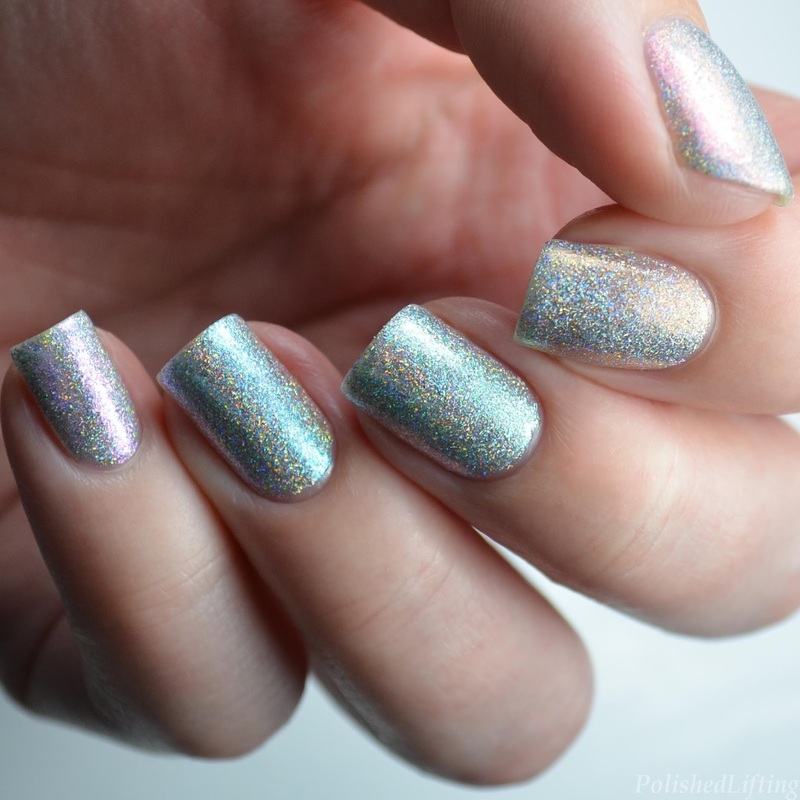 The entire ILNP Color Kissed Ultra Holos collection consists of six polishes. When all six arrived at my doorstep I couldn't decide which one to use first, so I put it to a vote on Instagram. The "skittle" vote won, so I picked five of the six shades for a rainbow themed mani. My swatches show three thin coats of each shade with no undies. 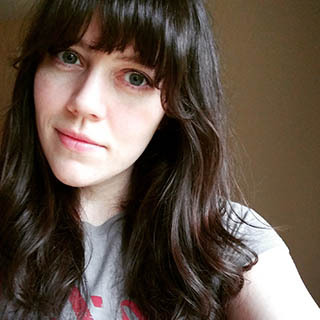 There is just a slight vnl in some of the photos, but I didn't notice it at all in normal lighting. 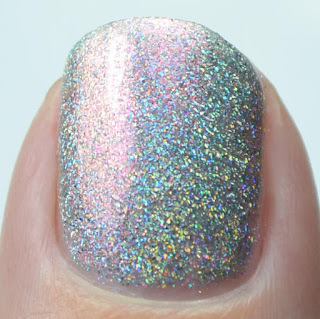 All of the five shades worn in this mani have a nice consistency and were easy to apply. It's really not a surprise that ILNP created such a nice formula for all of these. They continue to set the bar high. I wouldn't normally show you my thumb in manis because, well... it's broken all the time. 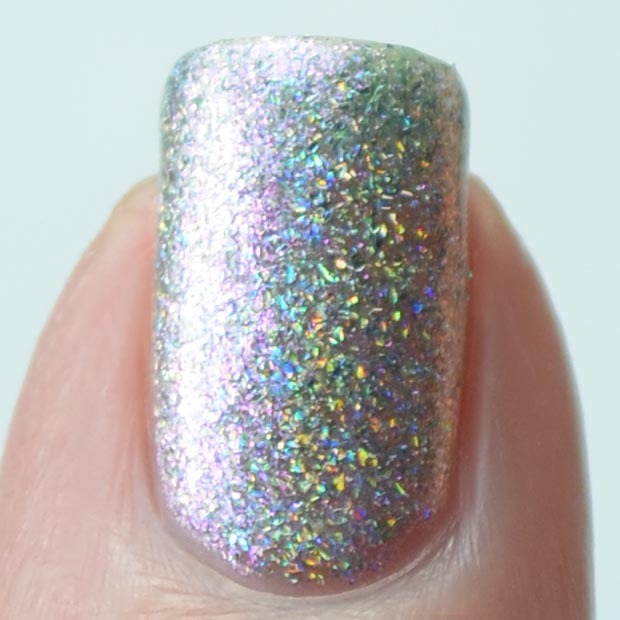 This is a rare sighting because I needed to give you guys the full scope of these Color Kissed Ultra Holos. 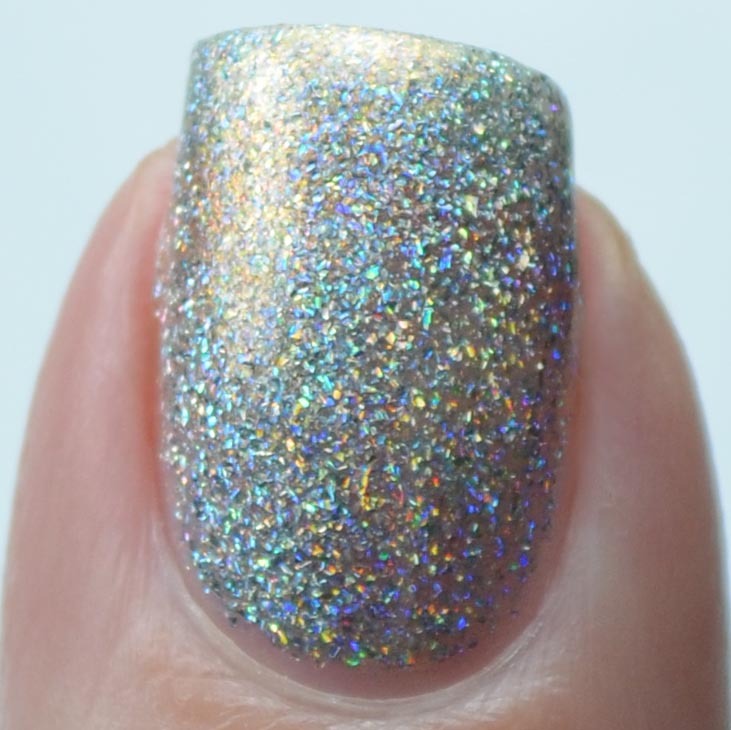 The ILNP Color Kissed Ultra Holos are currently available on their website for $10/bottle. If you enjoyed this post you might like Tropical Party Nail Art featuring ILNP Harbour Island and ILNP Walking Home with Floral Stamping.